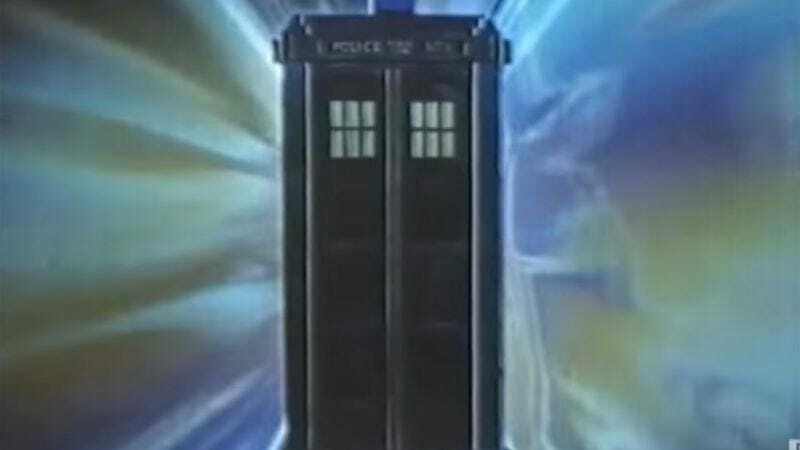 Given that the series transcends decades, actors, fan bases, and more, there’s a lot to cull for a Doctor Who remix. Eclectic Method put together the visual remix for the 2015 Comic-Con, and it’s now been adopted by BBC America to use as an actual promotional tool for the show. The clips cover the first 11 incarnations of the Doctor, from William Hartnell to Matt Smith, and every be-scarfed and celery-wearing Doctor in between. It’s a fun remix that forms almost-lyrical qualities from the spoken words of the series, and also shows the ties that bind despite the changes in actors, settings, and even sensibilities of a given decade. What comes through is a manic man excited about the possibilities of space and time travel, surrounded by incredulous people who marvel at the various amazing things that seem to happen around the Doctor on a regular basis. And through it all, the Doctor remains calm in his expositions, his scientific explanations, and the comfort provided by his home and craft, the TARDIS.